Experienced flexible converters in medical device growth segments, such as steri-drape and ostomy applications, can help optimize production efficiency and cost effectiveness. News & Events | Fabrico, A Division of EIS, Inc. Experienced flexible converters in medical device growth segments, such as steri-drape and ostomy applications, can help optimize production efficiency and cost effectiveness. 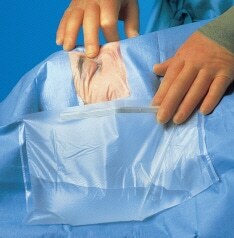 Two medical device applications experiencing rapid growth are steri-drapes, sometimes referred to as sterile drapes, and ostomy device components. The role that an experienced flexible materials converter plays in the design and manufacture of these two applications is crucial to medical OEMs. Converters offer great expertise to medical contract manufacturers by assisting in the development of workable designs, identifying the appropriate medical films, materials, and adhesives, while offering the proper die cutting capabilities to create the applications. Fabrico’s own Christian S. Yorgure, PhD and Manager of Business Development for Fabrico Medical, has recently had an article published in IADD’s (International Association of Die Cutting and Die Making) The Cutting Edge Magazine, on this topic. 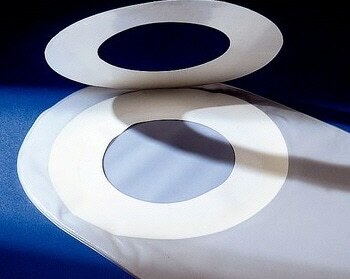 The article goes into depth on the types of materials used in “skin friendly” steri-drape and ostomy medical device applications, what to consider when selecting materials, and the role of the converter in each application. Find out more information on Fabrico Medical's converting capabilities, and learn more about Fabrico Medical's adhesives expertise. To join IADD and receive The Cutting Edge Magazine, visit www.webcuttingedge.org.